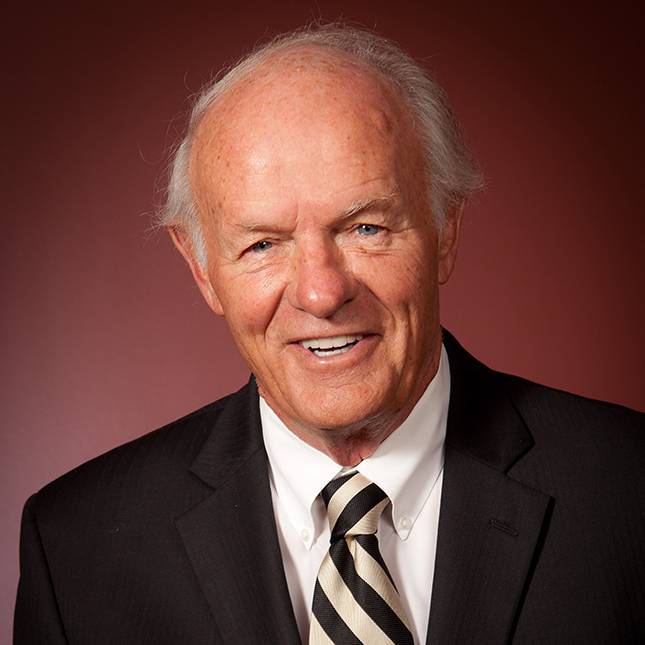 T. Denny Sanford, one of the country’s most celebrated philanthropists and innovative entrepreneurs will be the featured keynote speaker at LIU Post’s commencement ceremony on May 5, 2017 on the Great Lawn. Ceremonies for bachelor’s degree candidates will begin at 10 a.m., the doctoral, master’s and dual degree candidates will receive their degrees at 3 p.m. The graduates celebrated in this ceremony, from LIU’s Post, Brentwood and Riverhead campuses, will include 904 undergraduates, 1095 masters candidates, 174 receiving advanced certificates, 43 doctoral candidates and 56 students receiving dual bachelor-master degrees. Sanford, is chairman of United National Corporation and has been honored as one of America’s top philanthropists by The Chronicle of Philanthropy. Sanford’s growing collaboration with LIU has made it his premier partner on the East Coast as he continues to nationally expand the Sanford Education programs: Sanford Harmony, Sanford Inspire and the Sanford Institute of Philanthropy. Each of the programs, coordinated by National University, a private nonprofit university based out of California, is designed to provide innovative, research-based solutions to address critical needs in teacher education, PreK-12 instruction and nonprofit fundraising. LIU is currently housing all three institutes and helped bring Sanford Inspire and Sanford Harmony the New York City schools as well as districts on Long Island, impacting the lives of thousands of teachers and touching nearly 150,000 children in the New York region. LIU’s Sanford Institute of Philanthropy launched with its Inaugural Seminar, “Tectonic Shifts in Philanthropy,” on April 27, 2017, in advance of deploying the full course load this fall, aimed at increasing the impact of nonprofits through a unique focus on frontline fundraising and donor relations. Sanford will be joined on stage by LIU’s distinguished Valedictorian and Salutatorian. Valedictorian Melissa Peet from Monroe, Connecticut is graduating with a Bachelor of Science in Health Sciences and Health Care Administration. Salutatorian Kelly Carey from Holbrook, New York is graduating with a Bachelor of Science after studying Forensic Science.